July 20, 2016 | -by: Kevin George. Everybody loves to travel. Some opt for a weekend trip to the ski resort while some crave a ‘Long Vacation in Bahamas’ and some need to attend the business conferences. However, unfortunately the delight of planning a trip is followed by guilt of probably missing an important business correspondence (email) in a low connectivity area. Monks are sure no one would like to lose an opportunity in lieu of personal unavailability, considering the possible financial losses and disengagement with the brand. 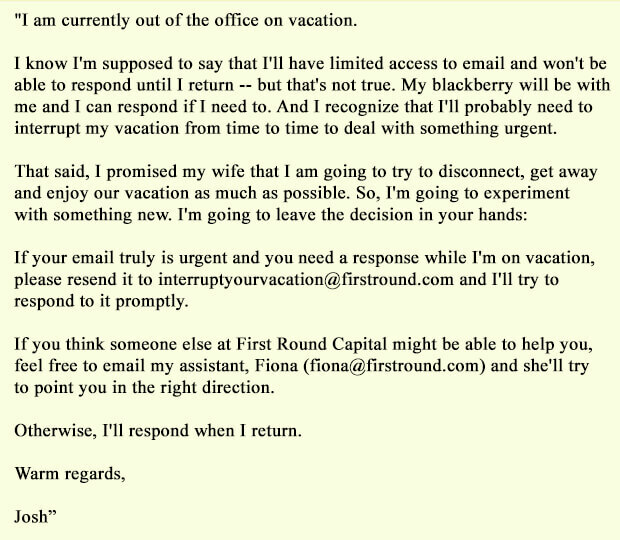 Out of Office Email using Auto responders, are a boon to avoid such a situation. Even though we Monks rarely leave our Monastery, we understand its potential and have compiled highly creative Out of Office email that have wonderfully managed to stay connected, while notifying the absence of the sender. 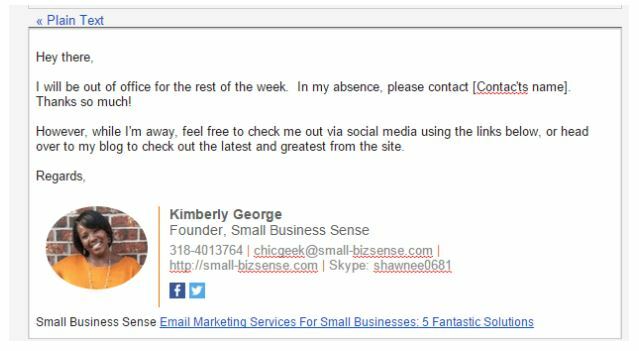 What makes an Email be considered an Out of Office Email? How long you shall be away for, including dates. Anticipated date of return and replying to their email. Notifying if you shall be available through any other communication sources. Inform if you shall be checking your emails occasionally. 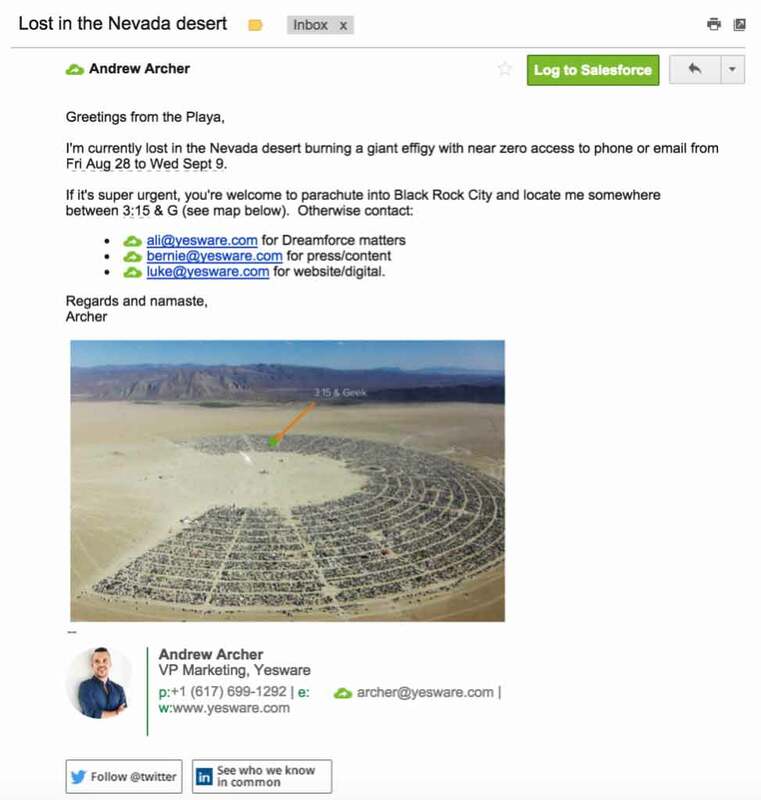 In one of our previous blog, we had emphasized on the need for your emails to have a personality. Add your personal flair by adding cross-selling opportunities or Movie references (See #5) or contact details of the Person who can fill in your place. 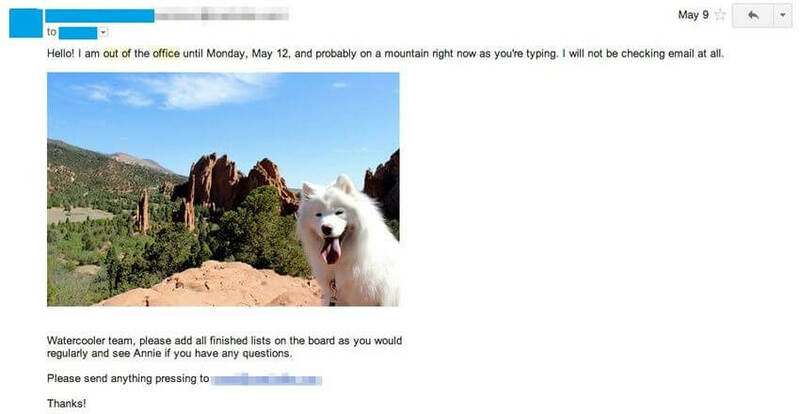 Even though there are many Out of Office emails that have been successful in convincing the reader that the email was sent by an actual ‘Human’, some haven’t missed the opportunity to reflect their personality into their responses. Reinforcing using Images: To reinforce the fact that the Person shall be probably on a mountain right now, he has attached an image. This guy took the bold path at the footer but it is a gamble which needs to be taken with a pinch of salt. Honesty is the best policy. Assurance of the client being priority and request for adding ‘urgency’ is considered a very trust building act. 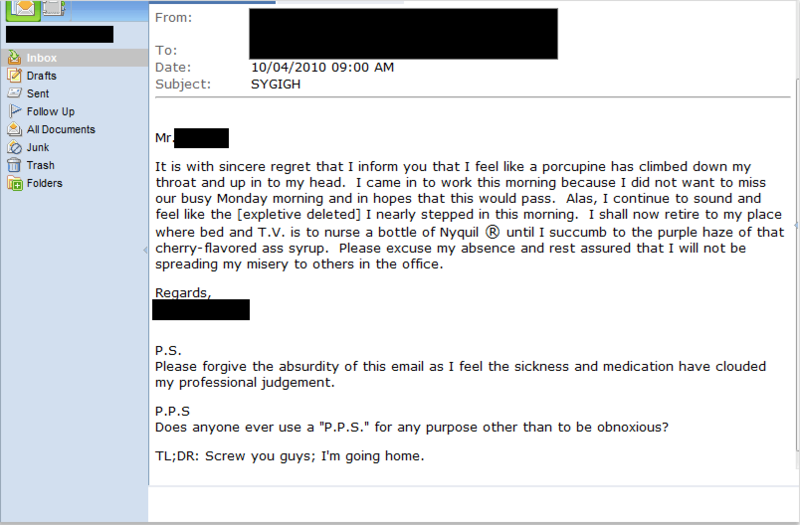 Does your Out of Office Email reflect your personality well? Send in the screenshot of it in the comments below.